With a theme of haemorrhage and trauma, it was always going to be a fun-filled day and it certainly didn’t disappoint. Arranged by Laura and Hannah, an excellent turnout of consultants, registrars, paramedics and medical students filled the room and were presented with a series of relevant and interesting teaching sessions. Some might say ‘absolutely nothing’ but others might argue that it has at least led to an advancement in the management of major trauma. 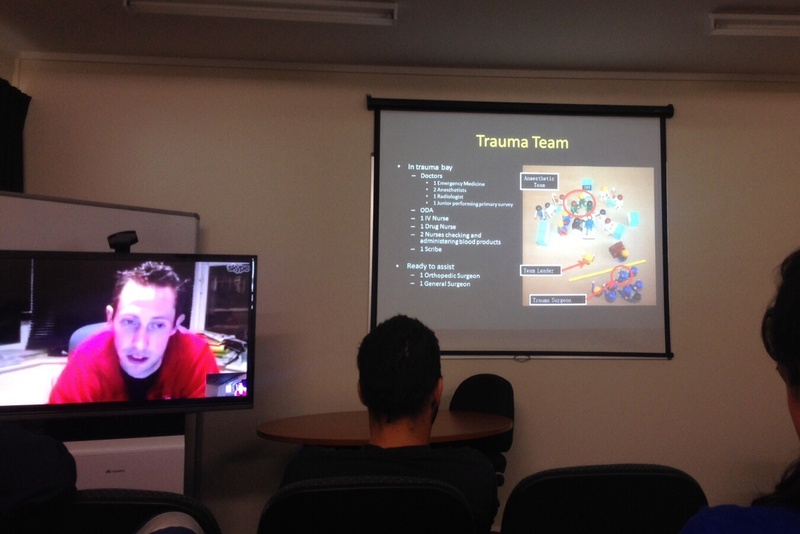 Through the wonders of Skype, we were able to listen to the excellent Damian Keene, anaesthetic registrar, major in the British army and PHEM trainee, talking about his extensive experience working in Camp Bastion, Afghanistan. Damian took us through a typical case involving a severely injured soldier requiring resuscitation and damage control surgery. Through detailed documentation, it was possible to see the rapid and life-saving treatment that the patient received. What really came across was how refined and streamlined the entire process was – from time of injury to definitive surgery – with every facet of care optimised to ensure the patient received the best care possible – something which many civilian trauma centres could only aspire to. 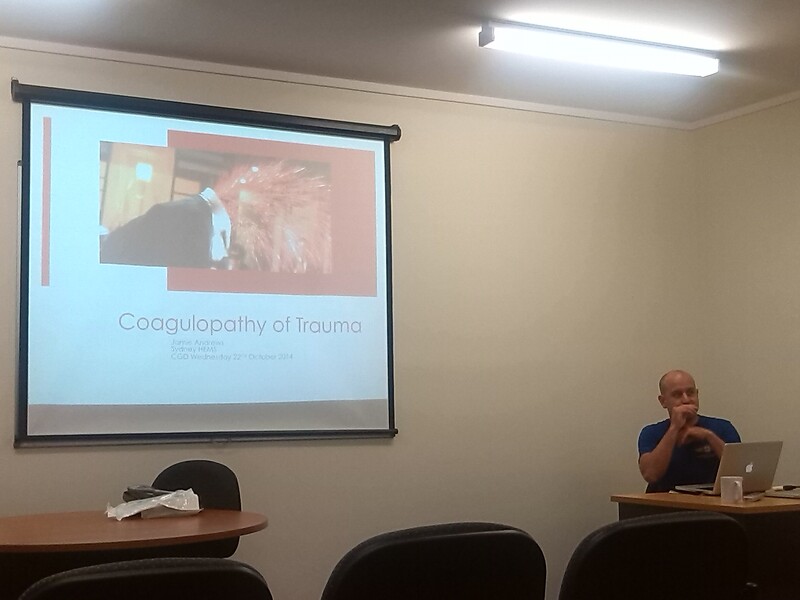 Jamie channeled his inner Karim Brohi and talked us through the complicated and evolving subject of acute traumatic coagulopathy. Coagulopathy is present in up to 25% of major trauma patients on arrival in the Emergency Department and is associated with a significant increase in mortality. 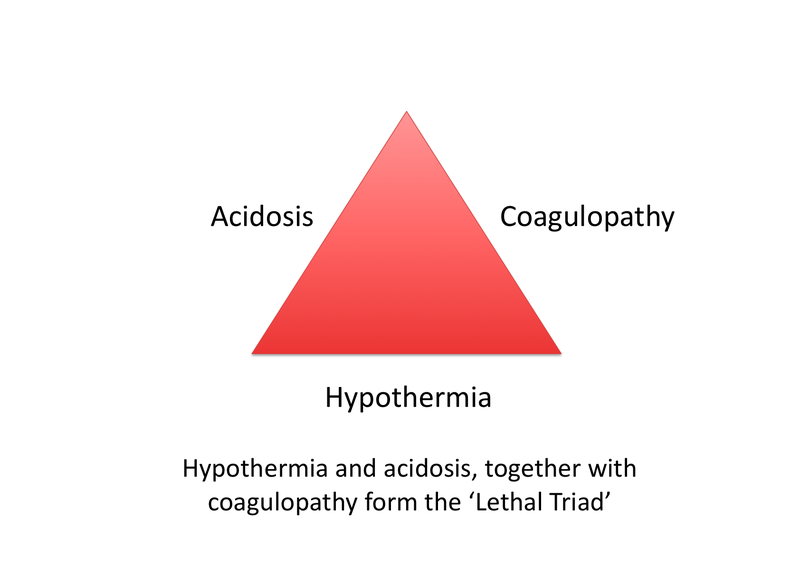 Conventional teaching has previously been that coagulopathy was a result of dysfunction (through acidosis and hypothermia), depletion and dilution of clotting factors. , by standardising and improving the level of care that these patients receive. While the group attending the CGD did not agree with all the recommendations (vasopressors in trauma), it was felt that this was a useful project, with the potential to standardise and improve the level of care that these patients receive. An app is free to download and contains a useful summary of the recommendations. The full recommendations are also available. 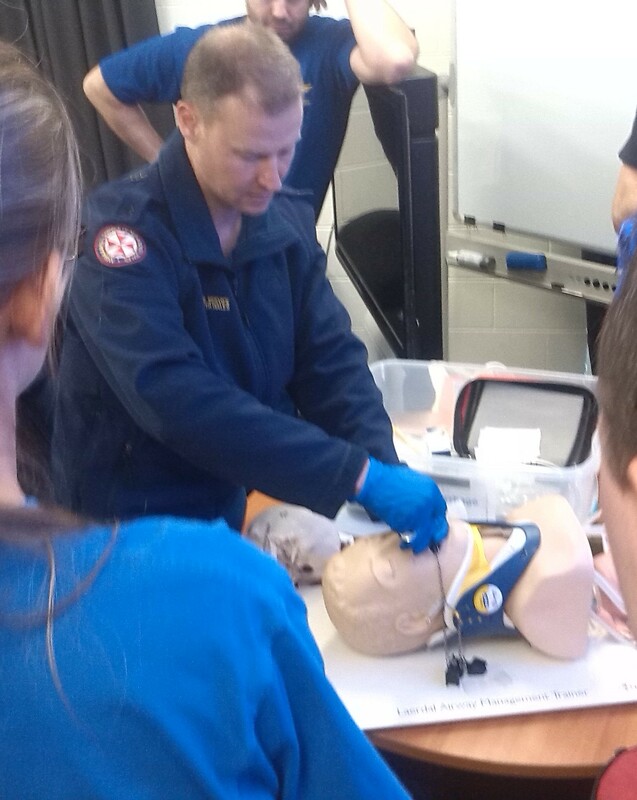 In a practical session looking at haemorrhage control, Karel walked us through the initial management of massive traumatic maxillo-facial haemorrhage. Following lunch, Jamie and Laura facilitated a lively group discussion on two papers relevant to critical care and retrieval medicine. In the first, a review article looking at delirium and sedation in ICU it was apparent that delirium is a significant problem in ICU which often goes unrecognised. Evidence suggests that management of sedation and delirium can have an important effect on patients treated in ICU. While it did not appear that any sedative performed significantly better than another the take-home message appeared to be that good care required regular assessment of sedation in ICU while keeping it to the minimum necessary for patient comfort and safety, along with using a protocol to routinely monitor and treat pain and delirium. The second paper which was reviewed was from the TRISS Trial Group, recently published in the NEJM. It was a multi-centre RCT investigating whether a higher (9g/dL) or lower (7g/dL) transfusion threshold had any effect on mortality in septic shock. There was no significant difference in the primary outcome, which was mortality at 90 days. Not surprisingly, secondary outcomes showed that patients in the higher threshold group received significantly more blood transfusions. It was felt to be a well designed study which although only partially blinded (full blinding would have been very difficult) had few flaws and good internal and external validity. This entry was posted in Haemorrhage and tagged CGD, haemorrhage. Bookmark the permalink.